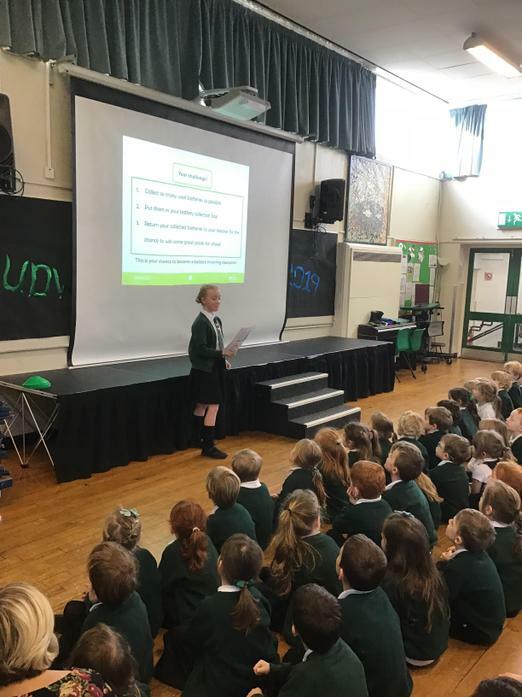 Recycle Battery Project Launch by Amelia and Poppy. 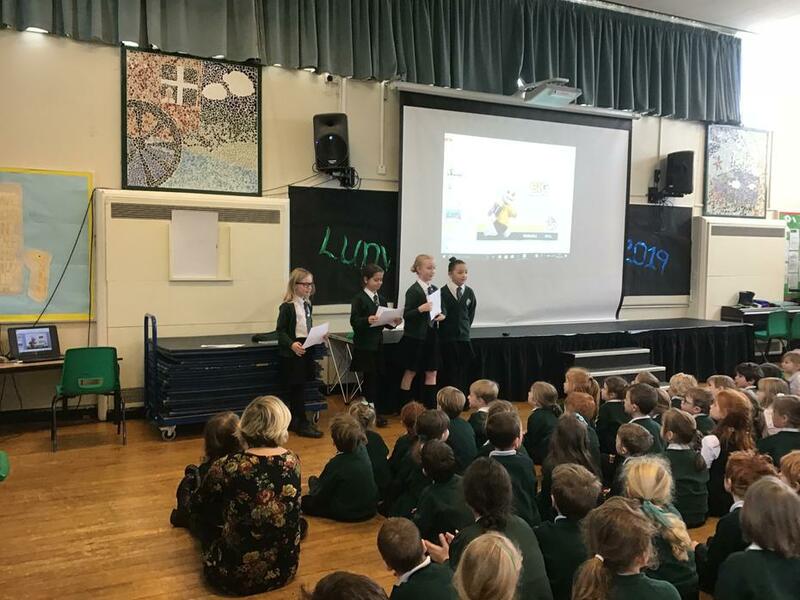 Amelia and Poppy led a very well organised whole school assembly encouraging us all to recycle batteries. We all have lots of batteries at home, many which are no use, cluttering drawers and sideboards. We want to recycle them all instead of them ending up in landfill where they can leak harmful chemicals into the ground. Next week everyone will come home with a battery box to fill up so please get battery hunting!